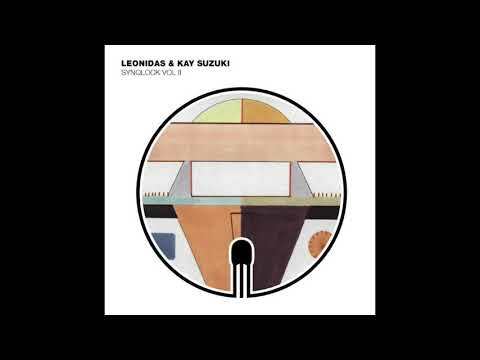 Burnin Music Recordings is back for round two with an ambitious EP from London-based Leonidas and Kay Suzuki. Synqlock Vol. II is a continuation of the hardware-loving duo’s EP of the same name released on Round in Motion in 2013. Expressed through a slew of analog equipment, the music here is a trip through both the cosmos and the dance floor. From the start, the listener is launched into a journey through space-time via the EP’s 11-minute opener, appropriately titled “Interstellar Meditation”. This beat-less exploration through the mind will continue on the B-side with Undercurrent before being brought back to reality by remixer Al Kassian. This leaves Asteroid, and its “Jackin Acid Dub” as the as the only club-ready originals on the record. Driven by a no-nonsense sequence and a serious dose of nostalgia, Asteroid (Jackin Acid Dub) starts things off with a simple kick/bass combo before letting the cat (and synths) out of the bag after the halfway mark. Backing-up the combo of lush chords and spacey leads is everyone’s third favorite drum machine, the TR-707 — which actually serves as a perfect compliment to the mission at hand. Reminiscent of classic tracks such as Adonis’ “No Way Back”, the “Jackin Acid Dub” of Asteroid transports us to a time when adventurous experiments with new-at-the-time technology ruled the musical underground. Bonus: If you happen to be around London at the end of the month, Love Vinyl and Brilliant Corners will be hosting a release party on November 24th with appearances from both Leonidas and Kay Suzuki. Click here to RSVP at Love Vinyl and Click here to RSVP at Brilliant Corners.